Newberry College | We Promise! A great liberal arts education is one of the smartest investments you'll ever make in yourself, but we understand that student loan debt is a big concern. 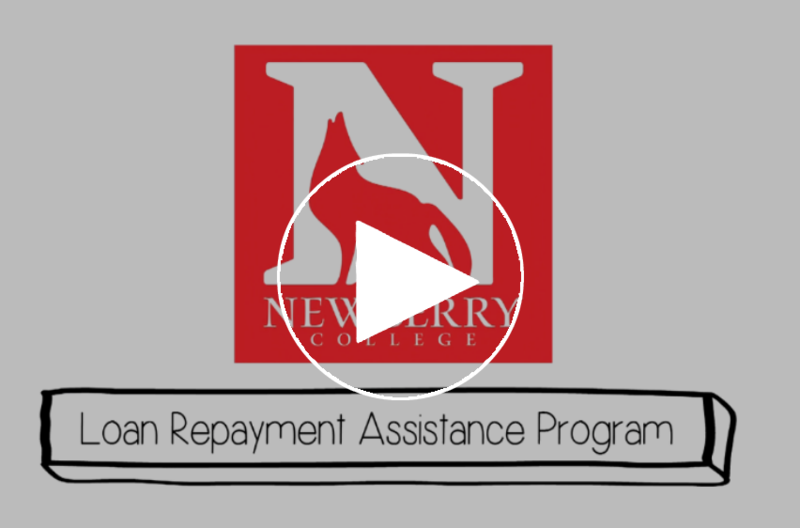 The Newberry College Loan Repayment Promise can help put your mind at ease and we're the first institution in South Carolina to offer this innovative program. With the Loan Repayment Promise, we're investing in YOU! We're so confident in the value of a Newberry College education, that we've taken a bold step to ensure that worries about student loan debt won't stand in the way of your future success. You have to graduate from Newberry College and work at least 30 hours per week (part-time jobs count!). If you make less than $40,000 a year, we'll help you repay your student loans until you reach that salary threshold. You're still responsible for making your monthly loan payments and then requesting a quarterly reimbursement. Your level of reimbursement is determined by income. If you make less than $20,000 per year, you'll receive full reimbursement; otherwise, you're reimbursed on a graduated scale up to $40,000. If you make more than $40,000, you'll repay your loans yourself. The Newberry College Loan Repayment Promise gives you the freedom to pursue your academic and vocational goals without the burden of excessive student loan debt. So go ahead. Pursue your dreams. We've got your back. We promise! Q: Why is Newberry College offering the Loan Repayment Promise? A: College affordability and student loan debt is a significant concern of our students and families. The Loan Repayment Promise is a direct response to those concerns. Q: How does the Loan Repayment Promise work? A: If an eligible Newberry College graduate works at least 30 hours per week and makes less than $40,000 a year, we’ll help them repay their student loans until they reach that salary threshold. Graduates are responsible for making their monthly loan payments and then requesting a quarterly reimbursement. If the graduate makes less than $20,000 per year, they receive full reimbursement; they receive reimbursement on a graduated scale up the $40,000. Graduates who make more than $36,000 repay their loans themselves. Q: Who is eligible for the Loan Repayment Promise? A: All incoming freshmen are eligible for the Loan Repayment Promise. Transfer students with at least two academic years to complete at Newberry College are also eligible. Currently enrolled students are not eligible for this program; however, they will continue to benefit from the previously offered tuition freeze program that has now been replaced by the Newberry College Loan Repayment Promise. Q: How much does the Loan Repayment Promise cost? A: Newberry College provides the program at no additional cost to students or their families. Q: Are graduates required to work a single full-time job in their intended career field to be eligible? A: No. Graduates must work a combined total of 30 hours per week to be eligible for reimbursement. This work can be completed with a full-time job or with multiple part-time jobs in any career field. Q: Are students eligible for the Loan Repayment Promise if they continue on to graduate school or pursue international service? A: Yes. Newberry College graduates are allowed to pause their eligibility for the Loan Repayment Promise while they pursue graduate school or up to three years of international work. Only undergraduate loans taken while studying at Newberry College are eligible for repayment under the Loan Repayment Promise. Q: Does the program encourage students to incur more debt? A: No. The program is intended to allow students to borrow the amount they deem necessary to attend Newberry College while providing them with the freedom to pursue their desired vocational calling.  Newberry College remains committed to keeping the cost of tuition as low as possible. The Loan Repayment Promise does not remove responsibility for repaying loans from the graduate, it simply serves as a safety net for graduates as they launch their careers. Q: Does the program encourage graduates to avoid getting a job just to avoid repaying their student loans? A: No. The program is a safety net for graduates as they launch their careers. Graduates have 18 months to find a job and must work at least 30 hours per week to be eligible for reimbursement. During that time they are still responsible for making their student loan payments. Q: Does the program encourage graduates to keep their income level low to avoid repaying their student loans? A: No. The purpose of the program is to free students to pursue their vocational calling without the burden of debt dictating their degree choice during college or their career path after graduation.